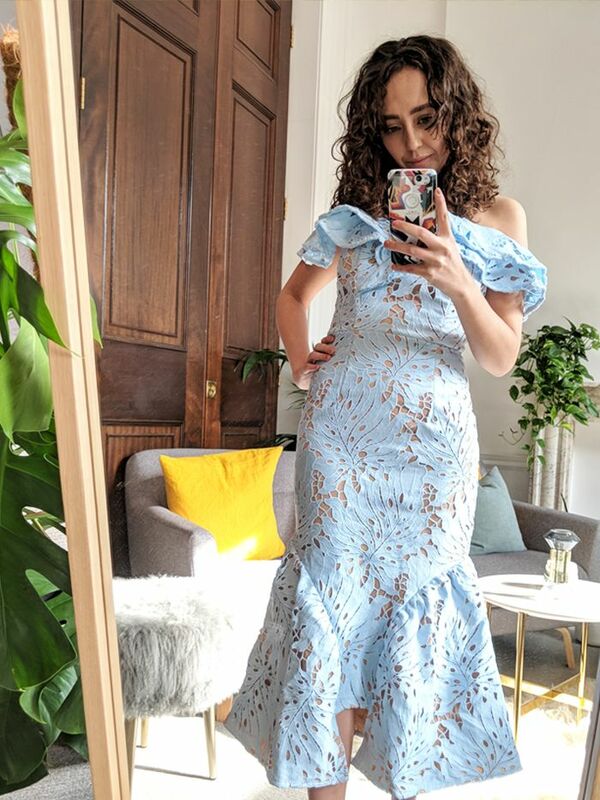 The best wedding guest dresses are something we search for each and every month of the year, and every time, our quest for the wedding guest outfit drama comes into play. After all, the matrimonial schedule never stops, and we can understand why it's a big deal to locate the ultimate frock for the big day. Choosing an outfit for such an important event is one of the most high-pressure wardrobe situations a fashion fanatic will find themselves in all year. Who will be there? Will you be caught off-guard in a candid snap? What about the pictures that last forever and ever in everyone's photo albums? And then there's what you really want to opt for, in your heart of hearts. Lace? Pastels? Florals? Designer? High street? So many options. That's not to even mention choices other than dresses (of which there are many, but we won't go there here). 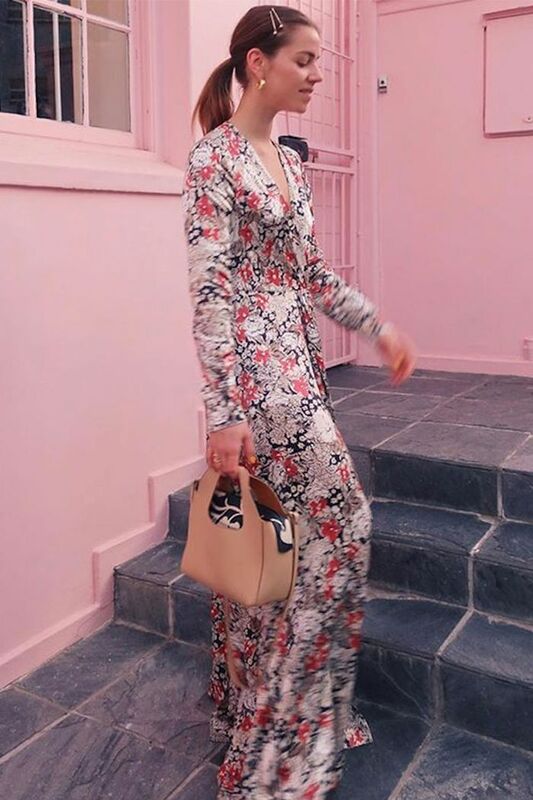 Trine knows that a Ganni gown is always going to be an instant win for any occasion. Sometimes, the answer comes in the form of an elevated, beautiful gown that wins in one swish of a hem. We start thinking about dresses as soon as the invitations come in and feel it's never too early to start planning for a wedding. We've scoured the latest collections to bring you a fashion editor's selection of the greatest new-season pieces to invest in, be it for a ceremony at a beach getaway, in a city or nestled in a cosy country retreat. Click through to see the dresses you can wear (and wow with) on repeat. Clashing prints work all year round. Add a raffia bag and golden jewellery. This ruffled number has stolen our heart. Team with clashing pink heels and big earrings. Perfect for flouncing around the dance floor come evening. Definitely one of this season's top colours. Style this pretty printed midi with platform heels and resin earrings. It's the easy way to do animal print at a wedding. It's totally okay to wear navy to a wedding. The length is perfect for all seasons. Add a white sandal to complete. Make summer arrive early in sunshine yellow. We're in love with this luxe frock. You'll feel like a modern-day princess. Trust in Rixo to deliver occasion wear dresses that'll never fail. This will see you through many a wedding and christening. You'll wear this so many times. Everyone should own a slip dress. Polka dots are big news. Green is a key hue this season. Animal print is definitely acceptable for wedding season. This will look effortless at every occasion. Of course, animal print is a winner. So perfect for folksy weddings. Yes, you can go maxi without having to be the bride/ bridesmaid. Now you're all ready for those summer weddings.